The University of Southern Maine School of Music continues the Faculty Concert Series on Saturday, March 2 featuring USM faculty member Anastasia Antonacos and musicians from 240 Strings, a local non-profit organization she co-founded. The concert, "Celebrating Chamber Music Within Our Communities," takes place at 8:00 p.m., at Corthell Concert Hall on the Gorham Campus. Resident musicians from Portland’s 240 Strings will be joined by guest artists from the Portland and Boston chamber music communities for an intimate evening of chamber music. 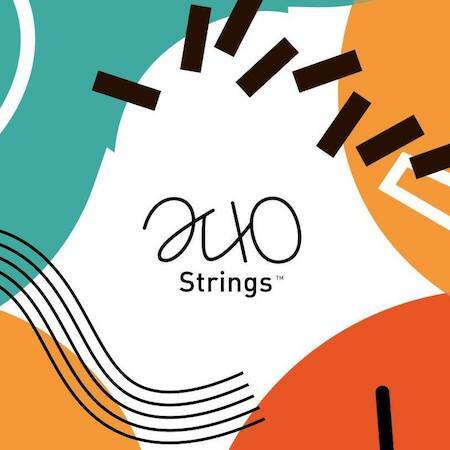 Founded in 2016, and a recent Maine Arts Award winner, 240 Strings empowers and connects young people by providing free classical music education, mentoring, and performance - giving all kids a chance to play. The program will cover the soaring sounds of Bach’s “5th Brandenburg Concerto,” the contemporary “Portraits” of award-winning composer Elisenda Fabregas, Dvorák’s masterpiece “Piano Quintet,” one of the most popular chamber music pieces of all time, with haunting viola and cello solos throughout, as well as some orchestral Bach tailored for the chamber music stage. Performing in the concert will be USM faculty member Anastasia Antonacos, piano; USM alumna Nicole Rabata, flute (SoM '99); 240 Strings musician, Tracey Jasas-Hardel, violin; Dean Stein, violin; Trevor Andrews, viola; and Allison Eldredge, cello. Antonacos, Rabata and Jasas-Hardel will be featured soloists in the Bach, which is often performed by a larger ensemble but here will be presented as intimate chamber music.